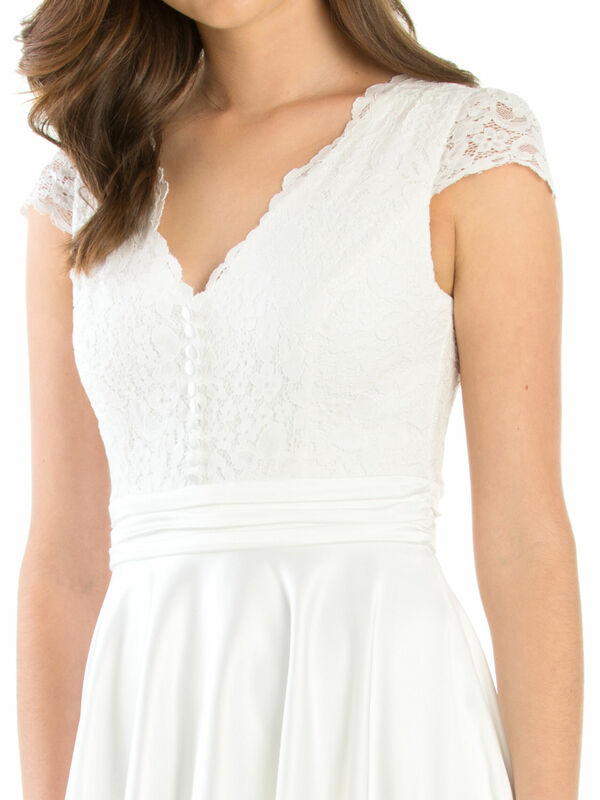 Love Me Forever Dress https://www.review-australia.com/global/love-me-forever-dress-ivory/RE19DR357.REWHT009.html This Love Me Forever Dress is the special occasion piece which is missing from your wardrobe. 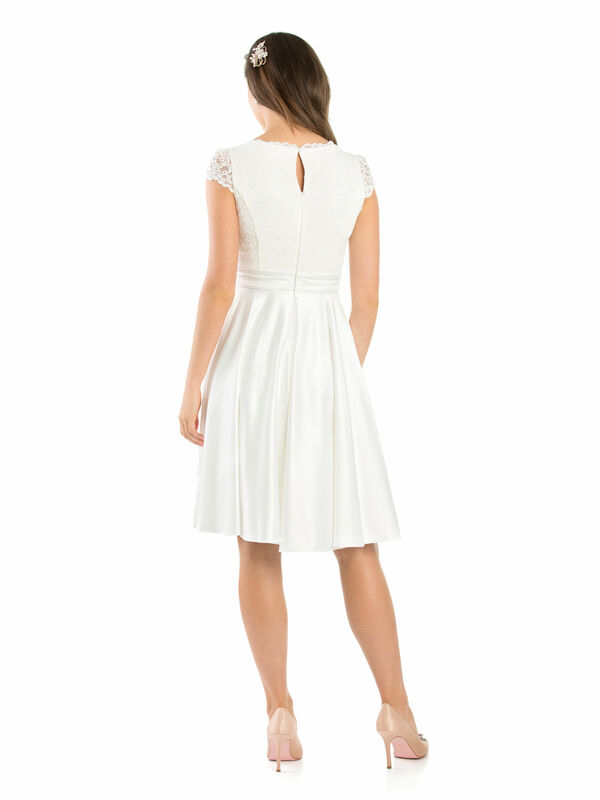 Full of charm, this dress has satin buttons on the front, a v-shaped neckline, lace cap sleeves and a satin flared skirt. Finished with keyhole button closure and a concealed zip on the back. A multi-layered skirt means that this will make you want to dance into the night.